No. 4-seeded Gonzaga (32-4) takes to the hardwood against ninth seeded Florida State University (22-11) in this Sweet 16 match-up. Now back to the phrases, this marks the ninth time Gonzaga has made it this far in NCAA Tournament. This time being the fourth consecutive year. Their opponent; FSU will be making their first appearance in the round of sixth-teen since 2011. FSU coach Leonard Hamilton brings the team in to the game being focused and prepared for the challenge of playing a national power. Understanding where they are and playing hard is something the team has dealt all tournament. Beating their first-round opponent, No. 8-seeded Missouri by 13 points. FSU followed the victory with a greater upset over No.1-seeded Xavier in the second round. Their tournament has been spearheaded by a freshman-senior tandem of Mfiondu Kabengele’s and Braian Angola. Kabengele shouldering the load in the first game with 14 points and 12 rebounds. Angola highlighted the last game with 16 points, to go along with 6 rebounds to the stat sheet. Gonzaga has done a good job of advancing this season as well. Senior forward Johnathan Williams and Rui Hachimura have both been impressive. Williams finished with a double-double in the opening round— 19 points and 12 rebounds. Hachimura lit up the gym with 25 points, while only playing 25 minutes against the No. 5-seeded Ohio State Buckeyes. “Rui, he's a match-up problem for whoever we play against,” Josh Perkins said of his teammate. What is the surprising contrast of the two teams is how they have advanced. While being the underdog in all of their games they have won by an average of nine points. 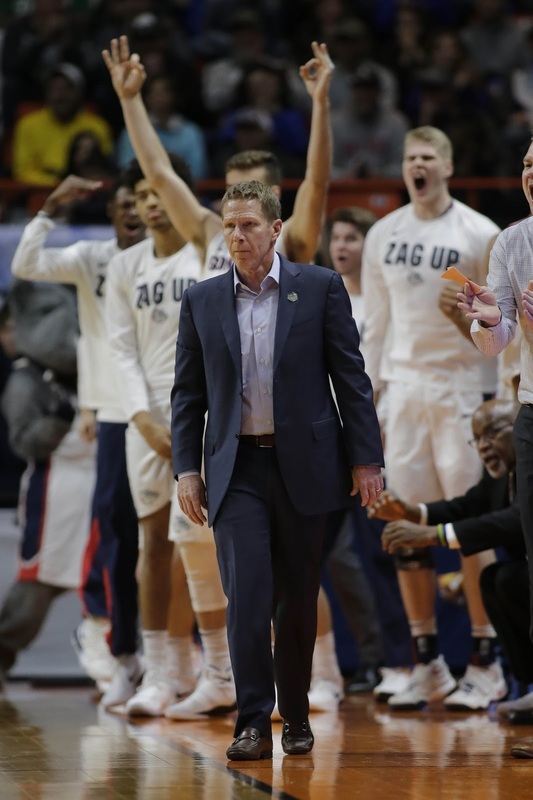 In contrast the highly favorite Gonzaga team squeaked past its two opponents by just over a five-point margin. Florida State plays a deep bench using a 10-man rotation for most of the year. “It does make it difficult in just trying to ascertain just the sheer numbers,” Gonzaga coach Mark Few said. “Usually what you see in college basketball is a tendency to kind of shrink your bench as you get farther along and deeper in the season and into the postseason." To that, “no, I have not. I don't think that's who we are.” Hamilton said of his willingness to access less of his team this game. Strong guard play has been a staple of the success of Gonzaga’s team. Josh Perkins has shot a blistering 39 percent from long range throughout the season. Each will create problems for each other in more ways than one. Experience and pedigree for Gonzaga should play a factor. Yet, on the other side being energetic and youthful hungriness will be a plus for FSU. Two 20-minute half’s will tell which will remain supreme. For the winner, they will advance to an Elite Eight matchup against the winner of the No. 7-seeded Texas A&M (22-12) vs. third-seeded Michigan (30-7) played beforehand.